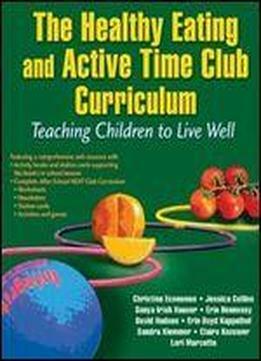 Early elementary years are perfect for instilling healthy habits in childrenand The Healthy Eating and Active Time Club Curriculum: Teaching Children to Live Well offers you the resources and tools you need to instill those healthy habits. The text helps children understand what a healthy diet is and how to stay physically active every day. The children learn how to make healthier nutrition and activity choices, and they discover how healthy eating and regular physical activity keep them feeling their best.